We’ve all read how artificial intelligence is going to take our jobs. But I don’t think that’s entirely accurate. 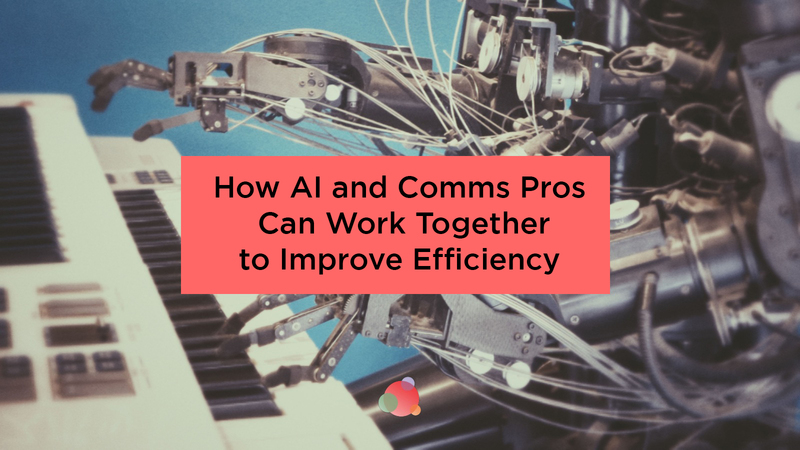 I believe artificial intelligence and communications pros will be able to work together efficiently to help you get back to doing what you love and achieve better business results. It’s Monday morning; you’re turbo-charged with a skinny latte and ready for the week ahead. You sit down at your desk and fire up your laptop. In front of you, there’s a machine-generated report telling you what you need to do today. It tells you which reporters and influencers to speak to, and even what to say (it’s hard to keep track of all those conversations you have each week, right?). Your report also tells you which of these journalists are the most influential. 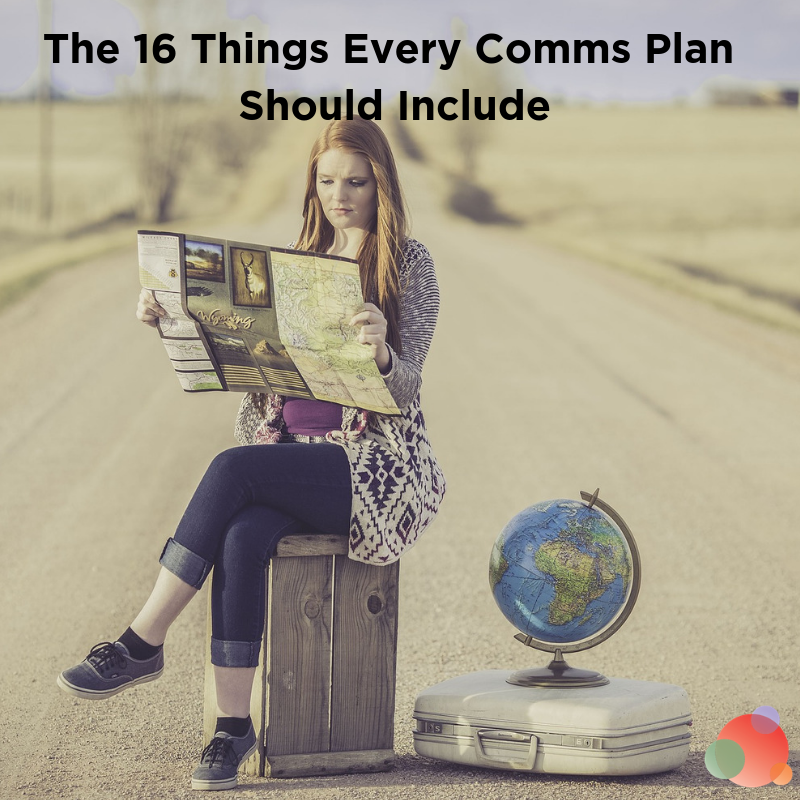 And what they’ve written about in your client’s or brand’s space, even their preferred contact channel. This report is so much more than your handwritten to-do list, Evernote, or Wunderlist. Those tools all rely on you thinking about what you need to get done, and manually noting it. This tool is intelligent software prompting and directing you, based on your progress with tasks during the previous day or week. And it’s so much more than a static media list. Perhaps a new influencer has started blogging in your brand’s space over the weekend. This report will make sure you are aware of them and know how to reach them. As you scan your task list and get a good idea of what the day ahead holds, you receive a report that picks up on trends or emerging conversations your brand or client is either involved in or may be responding to or piggybacking. No more manual keyword searches or trawling endless streams of social media data to identify themes, context, and meaning. The machine has done it all for you. Your job now is to work out whether and how to respond. Now you have time and space to do the creative thinking that first attracted you to PR all those light years ago (or does it just feel that way?). You have room to think strategically, persuade your client to trust your suggested approach, to implement your ideas and monitor results, advising your client and tweaking your approach as you go. In short, the fun stuff. There is no more to-ing and fro-ing over email to schedule meetings. No more tedious administrative tasks such as fishing out receipts to file expenses. No more manually pulling together reports, either. Your automated custom dashboard automatically serves up a suite of key statistics linked to actual business outcomes. This dashboard is light years ahead of the old way. No more discredited AVE or ‘number of clippings’ measures. Instead, it looks at power of voice (not just share of voice). It’s intelligent enough to understand the context and serve up data on website traffic, qualified leads, conversions, and attribution. So while the machines take care of the admin, your time can be spent on thinking, delivering, and interpreting results and using them to inform your ever-evolving intelligent strategy. Sounds like a dream for the communications pro, right? The world I describe isn’t so far away. In fact, the technology to do ALL of these things already exists. Why, oh why, then is the communications profession so far behind when it comes to embracing automation? Research from McKinsey states that 45 percent of tasks individuals are paid to carry out could be automated today by adapting currently available technology. Yet, the communications industry spends almost two percent of revenue on tech as opposed to just more than five percent for other industries. We’re behind the curve when it comes to harnessing the power of machines to help us do our job. Why? Is it fear which holds us back? According to Replaced By Robots, a website based on academic research from the Oxford Martin School, communications executives have an 18 percent chance of being replaced by artificial intelligence in the next 20 years. Directors have an even lower chance, at nearly two percent. But there shouldn’t be any room for complacency. Shrinking budgets and budgets diverted to other solutions. Calls for increased accountability and measurability. The exponential explosion in skills and responsibilities. Gone are the days where we were solely guardians of “earned” media. 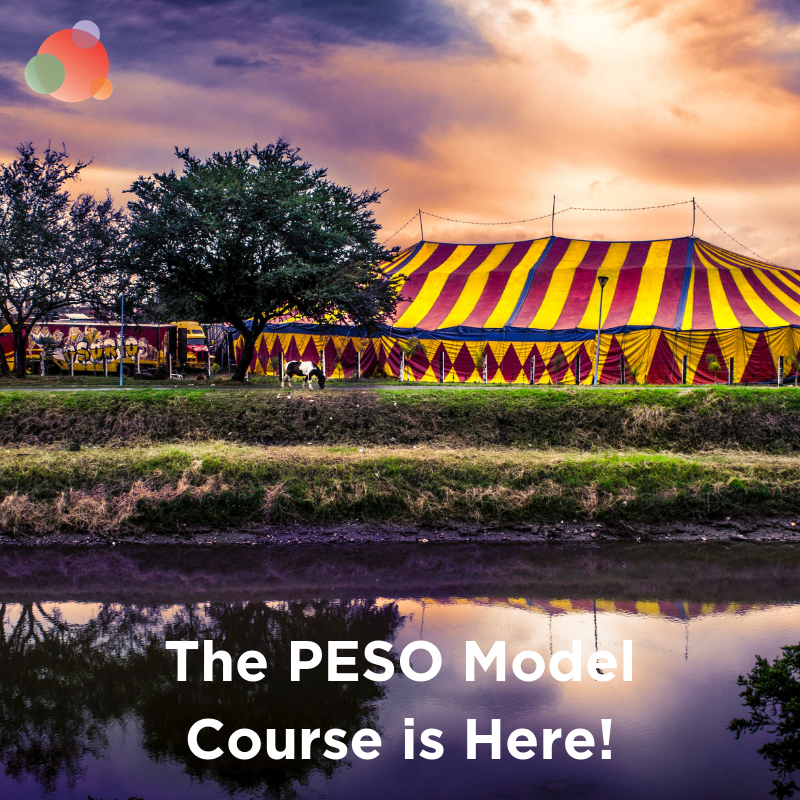 The PESO model shows how our jobs have changed massively regarding what we need to know, plan, and deliver. Keeping abreast of the fast-moving social media and technology landscape. There’s never been a more exciting, challenging time to be in the comms game. I believe that artificial intelligence represents not a challenge, but an opportunity to up our game and meet major challenges head-on. Right now, data is bombarding us more than any other time in history. In fact, there has been more data generation in the past two years than in the entire history of the human race. And we are drowning in more content—and contacts—than ever. We’re expected to make sense of that data, in a role that is rightly becoming increasingly data-dependent and evidence-based. Artificial intelligence and communications pros can work together to make sense of this massive quantity of data and focus on the insights that matter. Data is the fuel, and the algorithm is the engine. So what can artificial intelligence do for brands and communications pros? It can analyze the power of voice—looking at genuine impact and amplification, as opposed to share versus competitors. Identify emerging trends relevant to your brand. Find new voices that resonate with your audience—which new influencers should you pitch? Identifying emerging conversations in real time—at speed not previously available, helping you take the crisis out of crisis comms. Spotting other topics that matter to your audience, helping you plan partnerships, intelligent campaigns, and content plans with more accuracy. There are some areas of communications that are completely ripe for artificial intelligence. And it’s entirely possible that most routine tasks that eat up precious ‘doing’ time could be completely automated. For example, robots could easily handle follow-up emails to media and clients, meeting scheduling, planning next steps, and productivity charts. 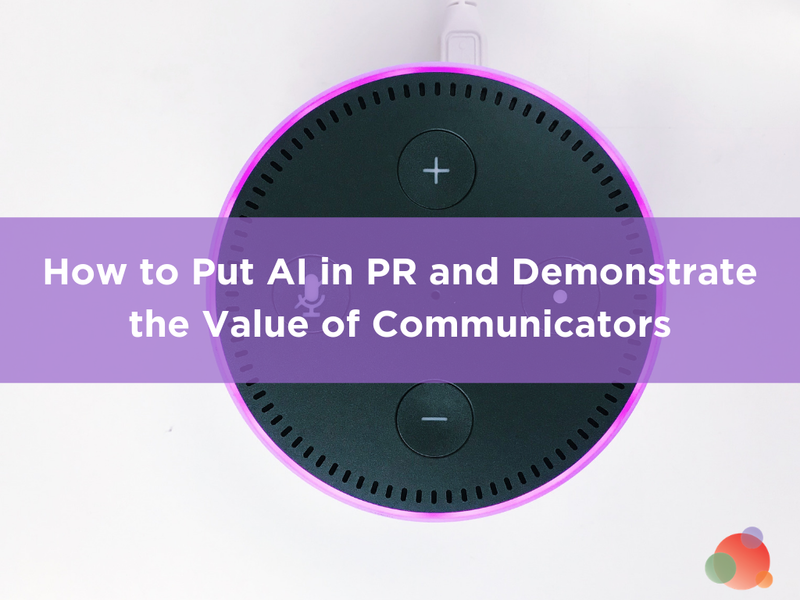 At a more sophisticated level, these robots can help us take the guesswork out of PR campaigns, predict which campaigns will be most effective, peak timing, best subject lines, and the most influential journalists and bloggers to target. They can also help us build more accurate customer personas, and spot potential crisis situations before they explode into full-blown meltdown situations. That doesn’t mean we are automating our way out of a job, however. In this brave new world, soft skills become more important than ever. Will There Be Anything Left for Communications Pros? Personal experience gives us the ability to judge situations and decide the best course of action. In reality, this is something machines are a long, long way from being able to do. The ability to write qualitative news releases (as opposed to formulaic ones) and spot the best stories will be more highly prized than ever. Our relationship-building skills with media, influencers, and clients will come into their own. Empathy, listening, creative problem solving, and building trust are all qualities that will always give us an edge over machines. As communications pros, our responsibilities and the breadth of things we are expected to be experts in is exploding. And yet, we face the huge challenge of budgets diverting to more measurable activities. While the smartest communications pros are getting their heads around paid, shared, and owned media, as well as traditional earned media, many in the industry are a long way from being able to sing for their supper. I believe it’s partly because traditionally, the industry has attracted right brain thinkers, creative types who balk at the idea of working with spreadsheets or numbers. This needs to change immediately, or professionals in other disciplines will be eating our lunch before we know it. Until we use data and artificial intelligence insights to drive decision making, the communications industry risks falling behind. And it needs to become part of our DNA, as natural as pitching, finding that killer angle or writing a news release. Or even donning a giant bee costume for a photo shoot (we’ve all been there, right?). 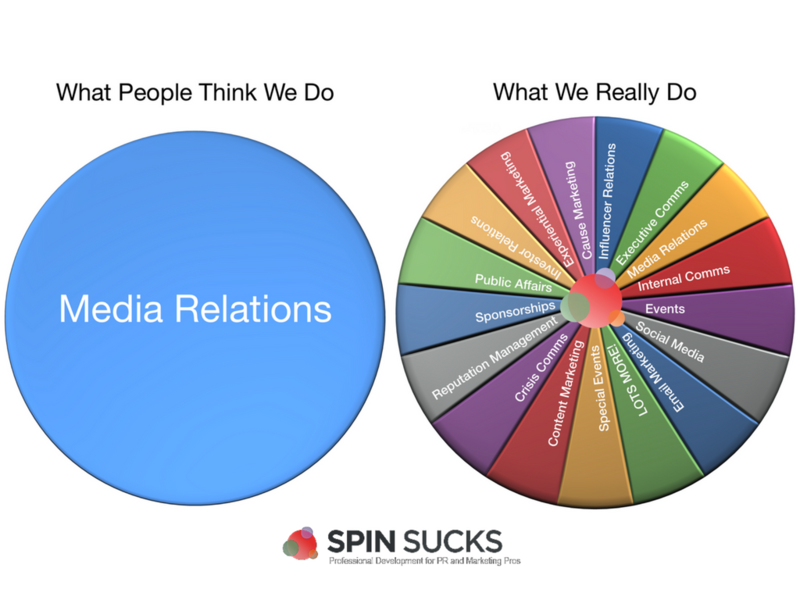 Many studies have shown that PR ranks up there as one of the most stressful jobs. How many times have you complained about there not being enough hours in the day? We read so much about robots destroying our jobs. But perhaps in our industry’s case, they will make us that much better—and even more productive.